Paul de Vries, PhD is a speaker, author and president of the New York Divinity School (NYDS, www.nydivinityschool.org). NYDS is “Christ-centered, Bible-based, Spirit-led,” and it offers leadership and ministry training for pastors and lay people in teaching locations throughout the New York City region. NYDS is also in fruitful partnership with the New York Theological Seminary (www.NYTS.edu) for transfer of up to 30 Masters-level certificate credits toward accredited degrees at NYTS. Dr. de Vries is as pastor and also the Public Philosopher for the www.ChristianPost.com, providing insightful essays on current issues. Dr. de Vries is also the founder of the New York Urban Ministry Institute (www.NYUMI.net), affiliated with The Urban Ministry Institute (www.TUMI.org) and World Impact (www.WorldImpact.org). He also served as an at-large member of the governing Board of the National Association of Evangelicals (www.NAE.net), actively representing about 40 million evangelical Americans, 2004-2015. Dr. de Vries earned the Ph.D. (in philosophy, 1978) from the University of Virginia, also completing substantial additional graduate training in education and in ministry. For 30 years he has led in evangelical higher education administration, designing innovative programs to help incarnate enduring Biblical truth with people’s learning, loving, leading and living. Dr. de Vries founded (1982) and for seven years directed the Center for Applied Christian Ethics (CACE, www.wheaton.edu/cace ) at Wheaton College (Illinois) where he was also an associate dean in charge of the Common Core curriculum, and a tenured professor. CACE was the first ethics center at any protestant college. He also earlier founded the Office of Volunteer Community Service at the University of Virginia and led in establishing an affordable housing information network in Illinois—all of which remain thriving programs. 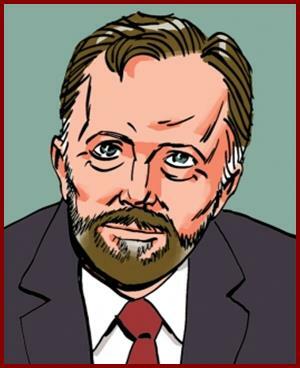 He was the lead American scholar in the Moscow-based “Ten Commandments Project” (1989-1995), and he is a charter-member of both the Society for Business Ethics and of the Society of Christian Philosophers. He is also the founder of the International Research Institute on Values Changes, with unique research projects accomplished mainly in Moscow, Beijing and New York. For six years, he held the endowed Chair in Marketplace Ethics at The King’s College (NY), and after 9/11 he was appointed director of the Counseling and Training Taskforce for NetworkNYC, a large cluster of evangelical Churches and ministries. He was the only protestant addressing (or even invited to) the bicentennial of Jesuit education in America, attended by 2,000 Catholic scholars (1989), and he and a team of Jesuits won second place for the Catholic Book Award (1990). He is properly credited for inventing (1982) the term “methodological naturalism,” a concept that clarifies a central issue in the philosophy of science and in the continuing evolution debates. Dr. de Vries is also honored in Madison’s Who’s Who and in Swarthmore’s Who’s Who. Dr. de Vries is the lead author of four books, The Taming of the Shrewd (1992, Thomas Nelson) Ethics Applied (1999, Simon and Schuster), Business Ethics Applied (2000, Pierson Education), Manufacturer’s Manual (2006, Friends of the Earth), and the author of dozens of published articles, available upon request. He is also both an advisor and a contributor to the Green Bible (2008, HarperOne), and he has consistently helped draw public attention to key Biblical issues—including racial reconciliation, life, liberty, creation care, marriage and non-violent conflict resolution. Dr. de Vries founded the round-table discussions with the NY Board of Rabbis and NY Evangelicals. With educators, he has started the Achievement Centers for Excellence and its program www.Literacy3.org, partnering with churches to address the education gap affecting many minority and inner city youth. Their primary curriculum is the www.7WordWonders.com. Dr. de Vries is the husband of Victoria de Vries, father of Tor and Chrissa, and father-in-law of Bonnie (married to Tor) and Jon (married to Chrissa)—all of whom are devout Christians, active in the Church. Dr. and Mrs. de Vries also have three grandchildren: Aiden Victor (2004), Eleanora Jean (2008), Cara Hope (2015), and Joseph Paul (2018). Most importantly, Dr. Paul de Vries loves the Lord Jesus Christ and seeks to honor and please Him in everything he does. ü http://www.c-span.org/video/?c4505452/rev-dr-paul-de-vries = Dr. de Vries’ 5-minute talk on the Hamas conflict, July 28, 2014. Because we love the people of Israel and we love the Palestinian people, the atrocities of Hamas against its own people and against the people of Israel must be stopped. Hamas has been shooting missiles at Israeli civilians every day for more than 5 years, and Hamas forces its Palestinian people to be its “human shields.” We must stand with Israel and with the Palestinian people—and pray earnestly for them—and against Hamas, ISIS, Hezbollah, Iran and other forces for Death and slavery. We pray for and stand for Life and Liberty for all. o www.MinisterInTraining.org = certified Bible-based, Christ-centered, Spirit-led leadership and ministry training—for ordained fruitful ministry.